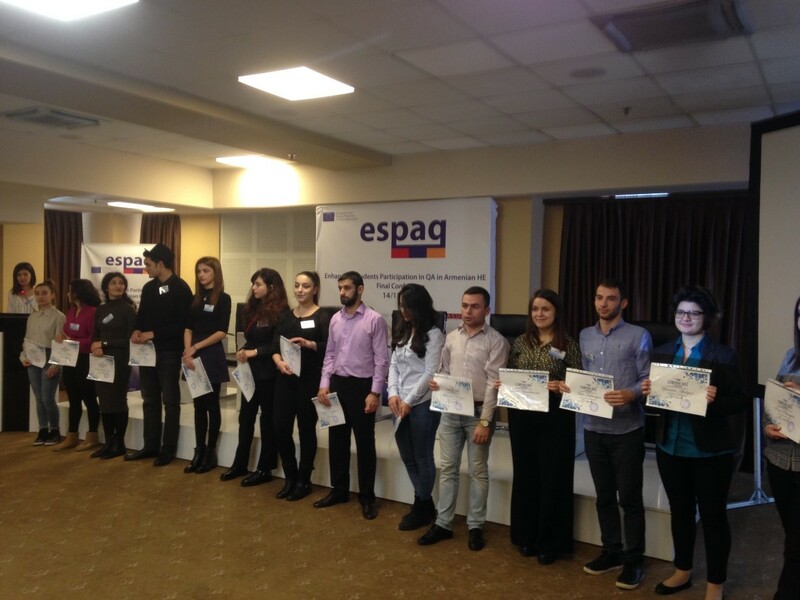 Four years ago the ESPAQ partners were wondering how we could involve the armenian universities students in quality assurance processes, and if it would be possible for this process to be sustainable in time. Universidad Internacional de La Rioja (UNIR) can be glad of its contribution to answer this questions, and of being a key agent changing the perception in quality processes at armenian universities. Last Tuesday, November 14th, we celebrated in Yerevan (Armenia) the Final Conference of ESPAQ project. 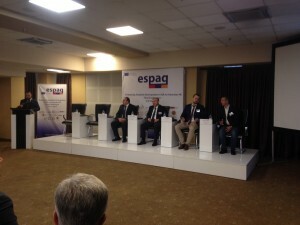 More than a hundred people attended the closening event . 75% were students of the principal participant universities (Armenian State University of Economics – ASUE, Armenian State Pedagogical University after Khachatur Abovyan – ASPU, Yerevan State Academy of Fine Arts – YSAFA, State Engineering University of Armenia (Polytechnic) – NPUA, National University of Architecture and Construction of Armenia- NUACA) and student organizations members (Armenian National Student’s Association – ANSA). 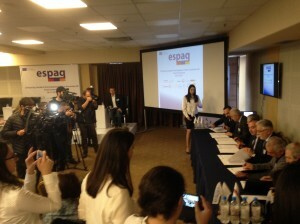 It was also attended by members of the National Center for Professional Education QA Foundation – ANQA and the armenian Ministery of Education. It was a day full of contradictory feeling: the satisfaction of doing a good job and the emptiness because of the end of the project. In any case, objectives have been accomplished, and all the UNIR members should be glad. “It is exciting being a witness of the reached objectives, and of the change in the students and quality agents perception and commitement with quality processes. I am sure that UNIR has made a great and positive impact in this project”, sais the Teacher Trinidad Cortes. 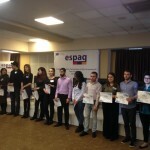 ESPAQ has helped to settle in Armenia the pillars of the quality processes in Higher Education, and with no doubt has got the interest and involvement of the students in that processes. This fact has been reflected both in the signature of the institutional agreement between rectors of the armenian universities and the armenian Ministery of Education, and in the interventions and debates of the conference. 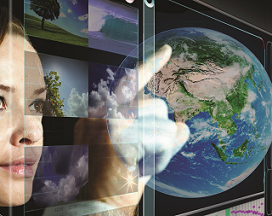 In all this time, UNIR has participated in the research and study task in order to stablished a state of the question. UNIR has also imparted formation both to students and the armenian universities management system of quality assurance and it has actively worked in in-situ auditories to check advances in the project. Of course, we attended the Final Conferente.